A TOTAL of 86 comedians from 55 countries are competing to be the Funniest Person in the World Competition, organised by American comedy club chain Laugh Factory. 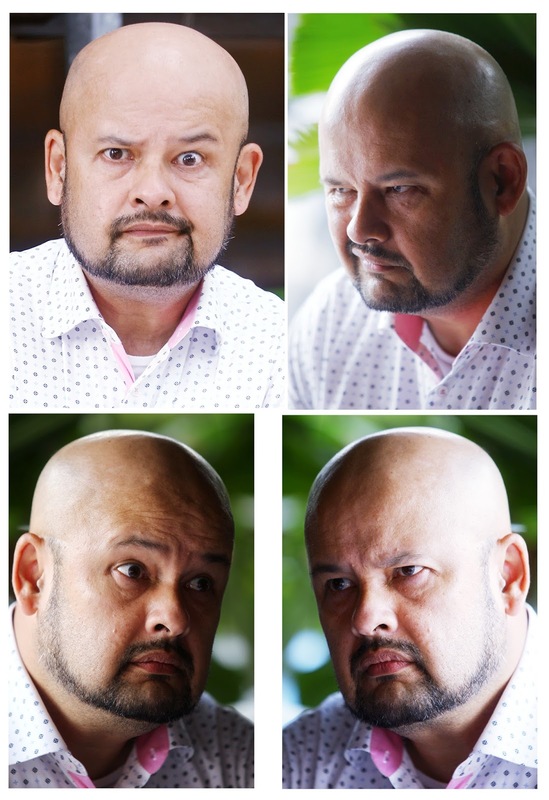 One of the two chosen to represent Malaysia is popular standup comedian and talkshow host Harith Iskander, 50. The other is Dr Jason Leong. Currently, the competition is in the first round. Fans can go to the Funniest Person in the World website, where they can view short clips of the comedians and vote for their favourite before 3am on Oct 3. The 20 comedians with the highest votes will then proceed to the second round where they will be performing in Helsinki, Finland, on Dec 4 and 5, in front of a live audience. From there, the top five will move on to the third and final round, which will take place from Dec 6 to 10. The comedian with the highest number of online votes will take the title and the US$100,000 (RM410,000) cash prize as well as go on a US standup comedy tour. 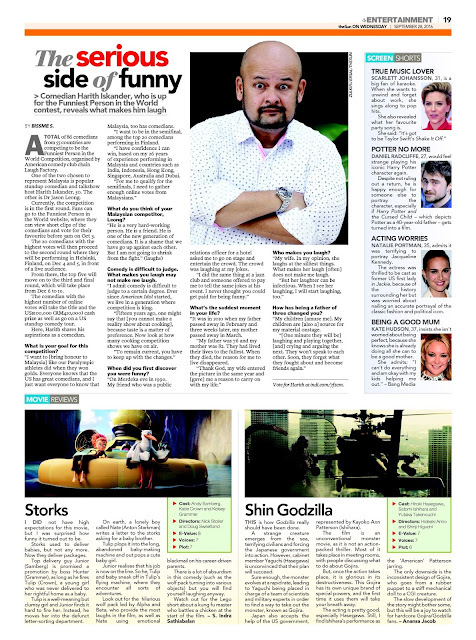 Here, Harith shares his aspirations as a comedian. *What is your goal for this competition? *What do you think of your Malaysian competitor, Leong? *Comedy is difficult to judge. What makes you laugh may not make me laugh. *When did you first discover you were funny? *What’s the saddest moment in your life? *How has being a father of three changed you?